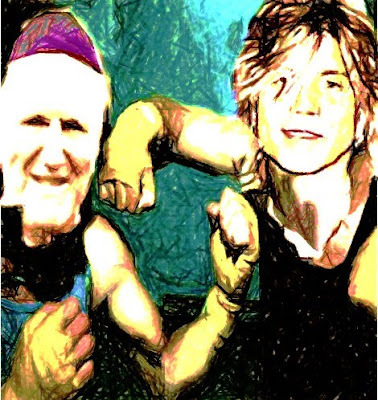 In the news today, two stories seemed destined to be discussed together- Australian Archbishop Denis Hart announced that Pop songs and 'Celebrations of Life' have no place in the Catholic Funeral Liturgy, and Goo Goo Dolls frontman, Johnny Rzeznick posted a list of the top pop songs he'd like played at his funeral. Certainly these two men aren't the only ones who don't see eye to eye on this issue; they merely represent much larger forces at work in our culture and the way we envision our funerals today that often have little to do with Goo or Bishops. It's a conflict over the focus of the funeral. Should the funeral be about the journey of a Christian pilgrim to God, or a reflection on the life and personality of the deceased? Both points of view have a great deal of merit. The Catholic funeral liturgy is about the gospel promise and is a powerful statement about returning a soul to God. In addition to the procession, the Eucharist and burial, the message of this ritual is communicated by lessons and sacred music. The purpose of this funeral liturgy is to symbolically and physically present a brother or sister in Christ, back to God, - another soul in a great procession of saints, and not to explore what made that individual unique or loved. What most people today desire and expect from a funeral, however, is a tribute and a memorialization of their loved one, and while the time honored rituals of the church can still be very moving and beautiful, for many, they have lost their meaning and relevance. Indeed, few today would picture their existence in heaven as joining an unending hymn of unified praise for God, just one of countless souls engaged in the same joyous act. Our conception of self has moved away from that paradigm. We are unique snowflakes who will drift back up to pursue our own goals, re-unite with our own families, look down as angels on our own grandchildren, and maybe even wear cowboy boots or flip-flops under our robes. Whether this idea of eternity is more accurate than what was previously conceived is not for me to say, but the fact is that the our picture has changed. If this is how we see our eternity, it's easy to understand why we want 'Wind Beneath My Wings' instead of 'On Eagle's Wings'. Like it or not, the story we want to hear at a funeral is about us, not just about God. So will the church convince the masses that they've got it all wrong? Will parishioners vote with their feet for personalized funerals? It is my hope that the powerful rituals of the church, and the meaningful memorialization of the individual will both have a place in the funeral rituals of the future. Without ritual and a moving physical returning of our loved one to the earth, or to their maker, our service will be self indulgent. Without remembrances of the individual and acknowledgement of their place in our hearts, the importance of that return is lost. What a beautiful, limpid analysis! Worth pointing out that the Archbish is not against celebrating the life, he just doesn't want it done on his watch. I think that could be a healthy and spiritually satisfying way to farewell a dead person - in any case, it's how it's been done for centuries at wakes and at the feasting after the funeral. I am all for theological clarity. A botch job pleases nobody. I'd like to have the Goo Goo Dolls sing "Amazing Grace" for my Catholic funeral.